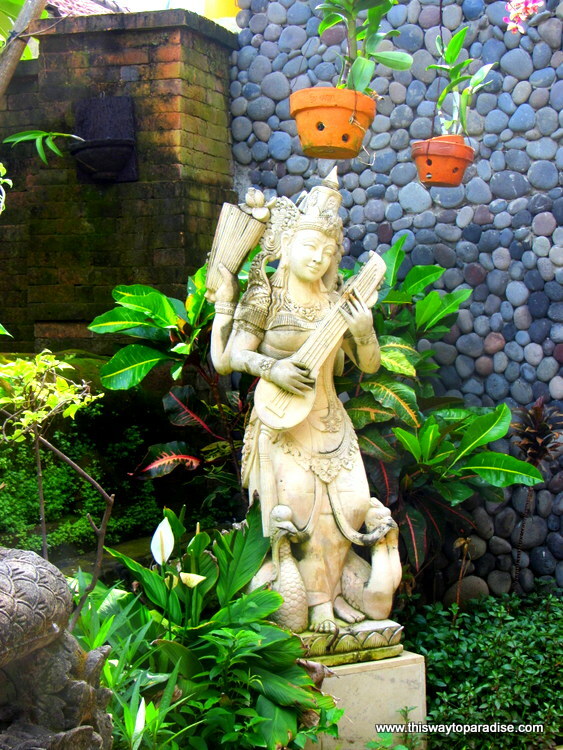 Searching for places to stay in Kuta, Bali can be overwhelming. You definitely have many hotels in Kuta to choose from. Kuta is a very busy area, so it’s nice to find a haven where you can relax and be away from all the traffic. I found such a place at Billy Pendawa Homestay. It is located down a really cute gang or alley very close to the airport. It was nice staying with a local family. I felt very looked after and cared for. The rooms were very clean and comfortable and are very much like hotel rooms in the sense that you have your own bathroom. 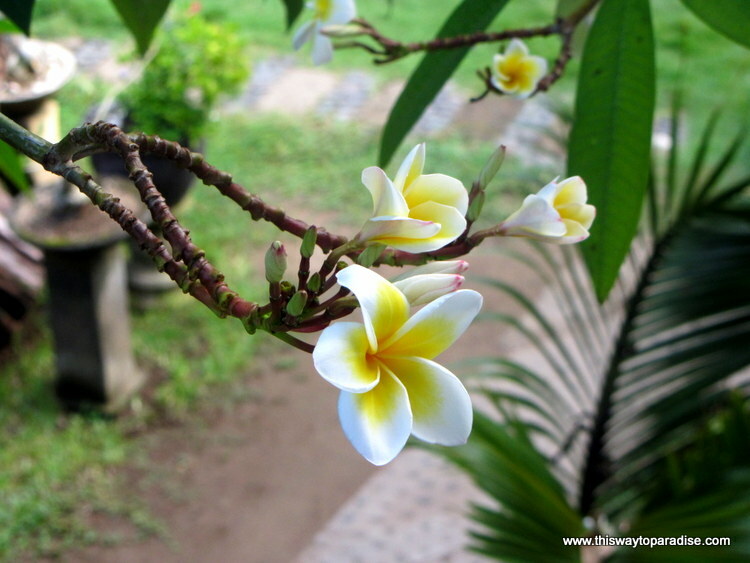 I loved staying on the second floor which overlooked a frangipani tree. The intoxicating scent filled my entire room and was just heaven. The room also had a nice balcony and free internet. The grounds of the homestay were incredible with fountains, statues, flowers, and amazing architecture. But what impressed me the most was the hospitality from the family itself. One of the family members even came at 2:30 in the morning to pick me up from the airport. When we left, the entire family stood waving goodbye to us. This has never happened to me at any hotel before and made me see what true hospitality is. If you are looking for places to stay in Kuta, you really can’t find a better place than Billy Pendawa Homestay. Thnx for a great article! Keep going in this direction! I’m not sure you’ll remember me, but I’ve been following your blog for a while and want to say that it’s a great place for travel info, and I especially appreciated this blog post “Billy Pendawa Homestay-Kuta, Bali”, and even shared it on my personal Facebook and Twitter page. As a big fan of traveling, I’m now starting a travel service called Guidestock: It’s an audio tour guide stock house, where users can take advantage of lots of user-generated audio guides, using an app to guide personalized treks through a city using a combination of GPS, photos, an audio guide and augmented reality. Users who record and share their own audio guides can also earn money. Now it’s beta testing time, and I would like to invite you and your blog team to be a part of it – no rocket science, it’s easy to use. Just try it and share your honest opinion with me. If you are interested, shoot me an email, and I’ll send you further details.